One of the biggest attractions of Comic-Con was the Watchmen exhibits. Personally, I was a bit skeptical when I first heard the movie was in production -- how could you cramp all 300+ pages into two or even three hours? After seeing the trailer, I'm cautiously optimistic. 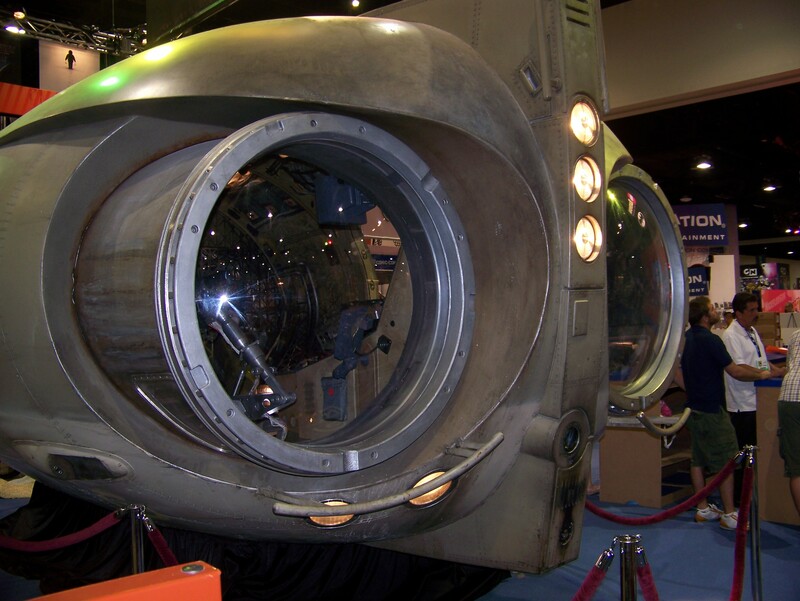 The Owlship on display at Comic-Con further reinforced that optimism. It's the actual prop used in the movie, according to the director, and it looked great. I'm still a bit worried about what had to be cut from the plot. For instance, it looks like the reader of the Tales of the Black Freighter is leaning against a hydrant, instead of a charging station. Yes, I may be picking at geekishly small nits. But based on the visuals, I'm willing to give it a chance.